I just moved to San Francisco for a new job at a digital marketing startup, which means I’ve been living in the single highest cost-of-living city in the United States. And, I’m making about 100k less than that article says you should be to “live comfortably”. 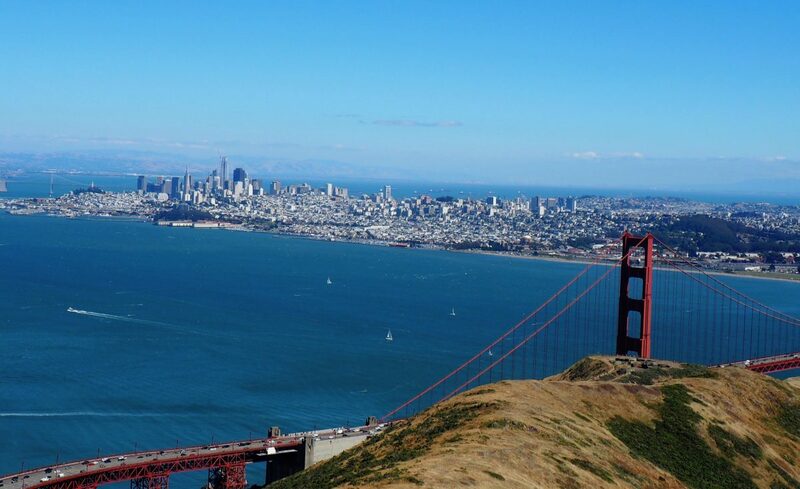 If you’re moving to SF anytime soon, if you’re living in SF and you’d like to be more financially stable, or if you just want an entertaining read about how living in SF works, here are 5 tips for that. This is kind of a meta-tip for making your whole life better, not just compensating for the crazy cost of living in San Francisco. It’s based on this article by Mr. Money Mustache, which is generally a great blog I’ve been reading that has excellent financial advice, and that I’ll be citing multiple times in this post. Essentially, it is what the heading says. Instead of denying yourself things you want, which uses up mental energy, just want less stuff. Decide that you’re happy with how you’re living right now. There are a ton of tricks to do this, such as closing your eyes and imagining you had suddenly gone blind, imagining your entire life while adjusting to being blind, and then suddenly miraculously regaining your sight. The general concept here is remarkably similar to Classical Stoicism. A similar idea, if you’re a bit further along in your career, is getting rid of “I can afford this now” mindset. My mom tells a story of a friend she had in college. When the two of them met, they both got appliances from the Scratch and Dent and clothes from Goodwill and generally did all the things that broke college students do. But after they both became established in their careers, my mom’s friend stopped buying cheap. She started getting clothes from Target and even more expensive stores, buying brand-new cars, and overall spent a lot more money on luxuries. Meanwhile, my mom was still shopping at Goodwill and buying used cars. And they were both a little incredulous! My mom’s college friend said something like, “Why are you still shopping like you’re broke, you can afford to get nicer things now”, and my mom said something like, “Why don’t you have a million in the bank yet”. Paying $20 for a t-shirt at Target instead of getting it at Goodwill for $3 adds up, and paying $25k for a brand-new car instead of getting a comparable older used one $12k adds up faster. You get to a million in increments of ten, and savings is critical to both current and future survival. If you’re on a tight budget, or even if you’re just being financially sensible, you are not going to afford your own apartment. The sooner you come to terms with that and optimize for it, the better. Even if you make enough dollars to afford it in principle, if it would cost more than a third of your income, you can’t afford it. Unless you want to be living hand-to-mouth and perpetually spinning that hamster wheel, you can’t afford to not save at least a third of your income. Here’s my current budget, because you might not believe me otherwise. Through my Praxis apprenticeship, I’m working full-time and making $17 an hour. My fiancé is making $15 working as a manager at a local grocery store. Multiplying that out, we get around 5k a month gross revenue. We have a roommate situation set up, where we have one small bedroom in a house with five bedrooms (that presently houses seven). We pay a little under 1k a month in rent. Other budgets include transit (I take BART to and from work, which adds to about $200 a month), food (we all take turns buying groceries so a very generous food budget is $500 a month), my fiancé’s student loans and my Praxis payment (~$600 a month total), and a few other things. In total, we spend a little more than half our total income, and save the other half. One-bedroom apartments in California start at $1700 a month, with a shared bathroom, if you’re lucky. If you want your own private bathroom, you’ll be spending $2200 or more. That’s roughly as much as my mom is paying for a mortgage on her five-bedroom three-bath family home! So give up on the idea of having your own place, and optimize for roommates. I found our current group house through a Facebook group meant for rationalists and effective altruists living in the East Bay. There are many such groups for many different people-types, and if you go looking, you can find one for a type which matches you pretty well. That will be your best place for house-hunting, or more aptly, roommate-hunting. You’ll want to shop around before you arrive if you can, but if you can’t, it’s not a big deal: stay at a hostel (there are many people-type-specific hostels as well; I’m staying at one for rationalists called Berkeley Reach) or an Airbnb as you shop around in person. Find a group house you like and roommates you enjoy spending time with. Don’t worry about proximity to your work or to a BART stop – you probably won’t get it, so just walk or get a bike (/electric scooter/electric skateboard /etc). Do worry about price, though, because private rooms range between $1500 for a bit of a pricey one all the way down to $950 for a really awesome find. If you’re moving out here as a single person on a tight budget, your best bet is to find a shared bedroom; I’ve seen some for less than $700. There are several ways to do this, so I’ll mention them all, since I’ve used them all. First, you can look on Google Maps around the areas you’re considering staying and look at their prices online; second, you can look up keyword phrases like “cheapest places to buy groceries around [location]” and read articles and watch videos about it; third, you can go around to the local stores with a list of all your common staples and make a price-comparison spreadsheet; fourth, you can keep all your receipts and cross-check prices for things you buy often. I did all four, in that order. Looking on Google Maps was a bit useful for pre-moving planning, but not all that useful; I noticed that a lot of stores, especially the small ones that turned out to be the cheapest, didn’t have their prices listed online anywhere. Still, in terms of figuring out what’s in your area, this is a good first step; just don’t spend too much time on it. Reading blogs and watching videos is very useful for finding insider info: there’s a 99 cent store around here that I found on a Youtube video. Don’t get too caught up in it and forget your other moving plans, though. I highly recommend a spreadsheet as a way to figure out prices for staples, but don’t get too carried away in comparing prices for things you don’t buy often, because then your spreadsheet will be brutally long and you won’t want to actually go around and compare things. I also recommend keeping receipts, because actual after-tax price is not the same as the price listed on the price tag, and prices can change, etc etc. The best thing you can do when you have a tight budget is keep track of it well. There are a few ways to do this, but they all boil down to a simple concept: spend your money on paper before you spend it in real life. If you’ve already allocated—”spent”—every dollar before you ever pull out your wallet, you’ll know exactly how much you can spend and what you can spend it on, and thus, you’ll never have to worry about whether or not you can afford something. There’s a simple paper-and-pencil strategy for this, and then there’s a financial tracking app I use now that I can recommend. With the paper-and-pencil strategy, start with your current funds, then mark down your foreseen future revenues and expenses and make a short calendar with important dates (paydays, bill due dates, etc.) and mark how much you’ll have after those points. Then, using those numbers, calculate how much to spend and save. If you want something quick and dirty you can do in five minutes so you can stop freaking out about money, this is a perfect strategy. If you have a bit more time and would like a comprehensive long-term solution, you can try Fast Budget. It’s an excellent financial planning app available for iPhone and Android which separates your financial world into categories and sub-categories. First there are sets of incomes and expenses, and then each income or expense can have components for individual things you’d like to keep closer track of than usual. Say you have a budget for groceries, but you know you tend to over-spend on soda, so you create a sub-budget for soda under the groceries category to track your spending on that one particular thing. You can constantly re-arrange this budget to suit your needs, and even sync your credit cards and bank accounts (though I haven’t personally needed to do this, I just keep receipts in my wallet and input everything into the app at the end of the day). Also, you get a nice-looking Overview page with neat pie and bar charts. Everyone loves pie and bar charts. These are the most important things I’ve needed since moving to San Francisco. There are a handful of other things relating to the process of moving in particular, but I’ll cover those in another post. If this helped you out, please comment it below!